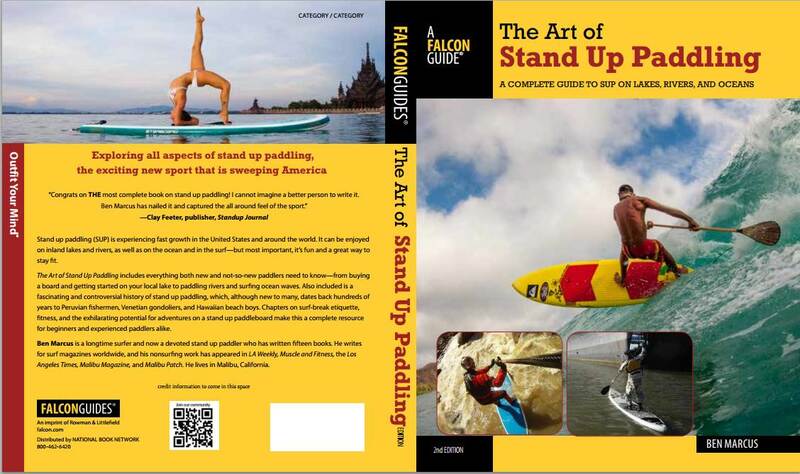 In 2011, Falcon Guides published an instructional guide to SUP called The Art of Standup Paddling. The book had chapters on buying boards and paddles, water safety, etiquette and the history of standup paddling - where did it come from and where is it going? 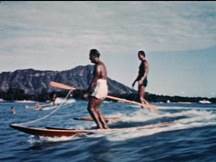 The history chapter of the original book claims SUP came to Hawaii by way of an Australian surf ski gifted to Duke Kahanamoku by some Australian lifeguards in the late 1930s. So is it Don't Blame Laird, Blame Australia? Or why blame anyone? SUP is fun. SUP barely existed as recently as September of 2002, and the popularity is exploding, sped up by the Internet and other factors. To keep up with the expansion of SUP, The Art of Standup Paddling is being revised to include all that has happened in the last four years: Racing and wave riding competitions, SUP yoga, improvements in boards, paddles and accessories, new media. The author Ben Marcus turned in the words and images the first week of March. It was about six months late, but hopefully worth the wait. There is a Facebook page dedicated to the book and the revision, so please take a look if you have time. And if you have any friends, please tell them about the 2015 revision to The Art of Standup Paddling. G'day ben, I can't quite work out why you would write that in the third person. im also dubious as to the need for a history of such a recent thing, but to each their own I suppose. You're absolutely rite about the popularity exploding, so if you are including a section on etiquette that would be well worth having. After having a long weekend paddle at our local this morning, I reckon it might be expanded to all middle-aged learners, regardless of craft. I also wonder whether, as someone profiting from sup via guide sales, there is something to be written about the explosion in numbers and resultant crowds of suppers (many still learning) being exacerbated by those promoting it. Now I know mals and short boarders can all be a bit greedy, but the crowding and the lack of consideration I watched a bunch of sups exhibit to every one else ata very well known point recently (12 in the water, of which 6 were sups incl me) really seems to me to be shooting us all collectively in the foot. They hardly let anyone else have a wave. I had to block a couple of them so one of the groms with us could actually get one. Ther are exceptions to the rule, but we really need to start educating learners not to sup anywhere near a crowd, and tell the good suppers when they are being greedy. I already see too much aggro towards sups, but sadly a lot of it appears justified. Maybe everyone making coin from sup could back off the promotion and focus on the bigger picture ie bedding down a sup culture, before creaming the growth and butchering the feel of it in the process. Generalisations, of course, but don't throw the baby out with the bathwater. I wonder if Ben did the third person thing because he is shy of his achievements, or typically is just expecting the usual trashing anyone enthusiastic is going to cop here if they are not part of the gang? Oh, I always suspected the surf ski link to SUP. Likewise, various cultures have been propelling their craft from a standing position using a single paddle for God only knows how long. Laying down is shear primitive! Thanks Ben for trying to put this all into perspective!